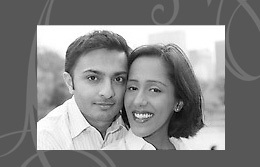 Deb and Sandeep - Sonal J. Shah Event Consultants, LLC. My fiance and I had planned most of our event by ourselves – down to the tiniest detail. We hired SJS Events for day-of coordination. Frankly speaking, I was nervous and pretty skeptical that someone else could execute the plan we had worked so hard to put together. My worries couldn’t have been more misplaced. The minute Sonal and her staff took over, the wedding turned into a dream. Sonal, Judy and Neeti paid attention to every minute detail. They coordinated all the vendors, our wedding party – even our parents – and kept everything on schedule. They were a step ahead at every turn – it was like they were reading our minds. Most importantly, they took care of us. They kept Sandeep and I calm and happy, made sure we ate, catered to our every need and prevented all manner of bridal panic. One word of advice I was consistently given before my big day was, “You’re so busy on your wedding day, you never get to enjoy it”. Thanks to Sonal and her team, Sandeep and I can safely say that our wedding was the best time of our lives.